Getting unwanted hair out of the way is a tedious task many people struggle with. Lots of people go through the challenge of removing unwanted hair on a routine basis. Not only does an ineffective hair removal process take a lot of time, it can be very difficult to achieve that desirable hairless body. While removing unwanted hair by shaving, waxing or tweezing can have temporary effects, the reverse is the case when it comes to laser hair removal. With laser hair removal, permanent removal of unwanted hair is achievable if you follow our tips. Laser hair removal is a popular practice used in removing undesirable hair from various parts of the body. This method of removing undesirable hair works by exposing laser lights into tiny hair follicles, as the light is mopped up it destroys the hair in the process. The heat from the laser destroys the follicle preventing future hair growth in that area. Laser hair removal is effective if it gives long lasting solutions irrespective of hair color. The average woman spends lots of hours waxing and shaving, according to research the time spent shaving hair off using these methods culminates into a whopping 75 days per year which could be used for much more productive endeavor. Removing unwanted hairs can be an onerous beauty practice. While the results are far from perfect and tasking, Laser hair removal can provide good results if you do it right. While laser hair removal has been around for over two decades, it took a while before this technique was fully embraced. Today it is a widely embraced practice, from beauticians and clinics to dermatologist. Here are a few benefits of laser hair removal over other methods. Lasers offer higher efficiency than other methods. 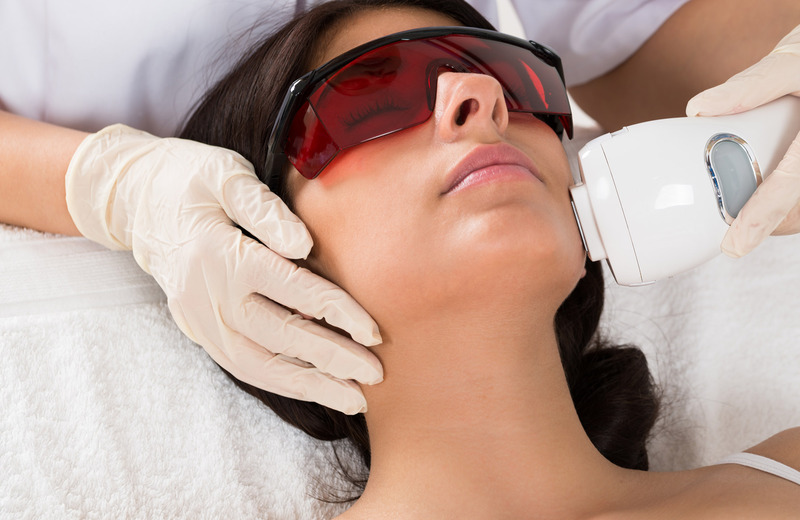 Laser hair removal helps remove unwanted hair in affected parts only. While it is often examined that laser hair removal does not permanently remove unwanted hair this is wrongly assumed. In most cases it requires more than a session to get the hair removed permanently. Just a few sessions can do the trick, and no more than eight sessions are required to remove hair permanently. So you can worry less about consistent trips for treatment. Of course no hair removal method is perfect which is why there are also some cons to laser hair removal which you should keep in mind when deciding if you want to get this treatment. It is not yet approved as a form of permanent hair removal. Side effects can occur including skin burn, itching, swelling, skin discoloration as well as pain, tingling, and numbness around the treated area. Removing unwanted hair using laser hair removal can be daunting especially for first timers. As daunting as it may be, most service providers have a program that helps make your first time experience a memorable one. You should be aware that it has potential risks and should check for reviews and credentials before choosing a laser hair removal service. It’s important to keep away from certain activities including electrolysis, body waxing and hair plucking for about seven weeks prior to your laser hair removal treatment. Body tanning, sun bathing should also be avoided within this time frame as otherwise you may experience complexities and limited results. A pre-laser treatment is carried out prior to the treatment. During this procedure, the device will be adjusted to match your skin’s color, and texture while mapping out the area that needs to be worked upon. After the treatment, you might probably experience skin burn. Moisturizers and ice packs are the best solution to this problem. For face treatment, it is highly recommended that patients wear make up for a couple of days after the treatment. The treated hair will be removed completely within four weeks, so make sure you have sunscreen to reduce skin’s exposure to sunlight. Don’t fret if you notice some scars as this is common especially among dark skinned complexion. Though scars are rare occurrences, laser hair removal patients are also prone to blisters, skin discoloration and temporary skin nodes. Its success depends on two major factors namely hair color and skin type. It is effective only on actively growing hair follicles. Not a guarantee to permanently remove hair. It is recommended that the laser treatment should be spaced three to eight weeks apart depending on the total area covered and also on the hair growth cycle. The legs and arms usually require less frequent hair removal sessions than the neck and face regions. It takes a longer period of time for the hair follicles to shed off usually within 2 to 3 weeks.